I decided to read some of the earliest Christian writings again, a decision triggered, I guess, by the discussion of New Testament “oral texts” in The Lost World of Scripture, which I recently reviewed. First up in my Penguin edition is the first letter of Clement of Rome to the church in Corinth. As in all these matters scholars nowadays just love to disagree, but both a strong tradition and the consensus of scholarship puts its writing at c95AD – around the time that the canonical Revelation was being written, according to most studies of that book. I’m a quarter of a century older now than when I first read Clement, and age gives a better perspective on just what a short time after the New Testament events it was written. The death of Jesus was around 60 years earlier, and although I was only three sixty years ago, I can remember maybe fifty events definitely from before that time. Language was new to me then, but I can even recall several things that were said to me, mainly because they used new and surprising vocabulary, such as my mother telling me in 1955 that it was spring (hitherto “spring” was something I caught my hand in on my pushchair) or my older brother vilifying some kid in the grocer’s shop with the pejorative term “stick-in-the-mud”. In Clement’s time there were certainly still people alive – maybe even in Rome – who would remember the events of Easter firsthand. Clement refers to the deaths of Peter and Paul. He may or may not have witnessed these, but it was only thirty years before – and even my kids remember stuff from that far back. The brevity of these intervals is important when one remembers how recently a majority of NT form critics were saying that the Church that produced the New Testament had little recollection, or even interest, in the events of Jesus’s life. Mind you, as Richard Bauckham said recently, form criticism has collapsed – Clement has weathered far better that Bultmann, it seems. But those skeptical ideas are still very much in the air – and more so than ever before amongst American evangelicals. Perhaps the hermeneutic of disbelief will last as long as Clement – or perhaps not. That aside, four main things of interest struck me in the letter as a whole, pertaining to current issues on the early Church’s attitude to Scripture, on the New Testament writings, on the person of Christ and on The Hump’s main overall theme, the doctrine of creation. I’ve often heard it said recently that the the idea of scriptural inerrancy is a modern, Evangelical concept. And so I suppose it is, if you mean some formal credo like the Chicago Statement. But if you reverse the question in terms of how many times any of the Fathers mention errors in Scripture, the answer is a resounding “Zilch”. Clement, like all the Patristic writers, cites literally dozens of Old Testament passages, either verbatim or from memory. Interestingly he seldom mentions the titles of the books he quotes, but instead “Scripture says…” or “It is written…”, and more often “The Holy Spirit says…”, or “God says…”, or “The very Lord of all has spoken of it…” or, in one case “It is Christ himself who summons us, through his Holy Spirit, with the words…[quotes Ps34]”. This accords well with teaching of 1 Peter 1 that the Hebrew Scriptures arose from the Spirit of Christ speaking through the prophets, and carry the authority of his own voice. In ch53 he shows that not it was not only the churches in Rome that had such a high view of the Old Testament: “You have studied the sacred scriptures, my friends; you know them well, and you have studied the divine utterances.” His overall attitude is best summed up in ch 45: “Just take a look at the sacred scriptures; they are the authentic voice of the Holy Spirit, and you know that they contain nothing that is contrary to justice, nor is anything in them falsified.” Now one must admit that he wasn’t using them to do science, but perhaps it would not occur to him that they lent themselves to such profane use. Nevertheless, within living memory of the Incarnation, an “incarnational” view of a Bible full of human errors was a million miles from his thought. Following Walton and Sandy, one would not anticipate, this early on, that New Testament teaching had settled into the same canonical pattern as the Old Testament. And that is certainly the case, and may support their thesis, to investigate which I re-read Clement in the first place. There are indeed clear references from several NT books – notably the Corinthian epistles, James, 1 Peter, Hebrews, Titus and the sayings of Jesus in the synoptic tradition (closest to Luke). Apart from Corinthians (for obvious reasons, Clement’s letter being to that very church), the sources are not named, just the approximate words and ideas are cited. Possibly the gospel was still known only in oral form, but since the epistles are treated equally loosely and must have been known to him from written texts, Clement may even have been quoting a written Luke from memory. And why not, as there’s a legitimate case for dating Luke during Paul’s captivity in Rome, around 62AD? 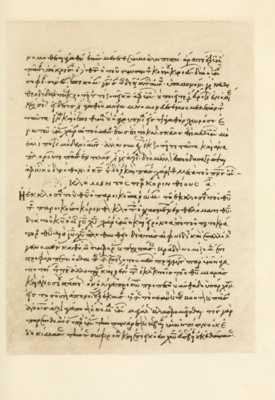 What is interesting to me, though, whether these apostolic teachings were written or still in some fixed oral form, is that without naming their source or even, in nearly every case, identifying them as quotations, Clement drops them into his letter in the expectation that the Corinthians too will recognise them and their authority. In other words, he knew that they would have heard or read the same things and be as familiar with them as they were with the Old Testament. These texts may not yet have been universally recognised and canonical – but he treats them as if they were. That’s quite significant, given the revisionist stuff that’s around about the New Testament emerging from a mass of heterodox material over several centuries. There are thousands of NT quotes in the Fathers, and apart from a few quotes from a handful of well-respected writings like Didache or Hermas, virtually none come from the apocryphal works that payroll intrigue modern scholars and novelists. Clement, the earliest amongst the Fathers, quotes only what would eventually become Scripture. Note how much closer to the fifth century Definition of Chalcedon this is than to the only nominally divine Christ in the incarnational doctrine of Kenton Sparks et al. Also, those who assume that belief in the impassibility (inability to suffer) of God was a late import from Greek philosophy should note that it is expressed here by Ignatius, the fervent Syrian anti-Docetist (the Docetists believed Jesus only appeared to be human and suffer), within living memory of Christ’s ministry. (Yes, I know 82 years is a long time, but my own father remembered events clearly from 82 years beforehand towards the time of his death, and I remember discussing, with a patient of mine, events she recalled with perfect clarity from the Boer war, a century before.) Perhaps the early Church found the impassibility of God to be inherent in Scripture and the apostolic teaching – they certainly knew the Scriptures better than most of us. And some of them had been taught by the apostles. Season by season the teeming earth, obedient to His will, causes a wealth of nourishment to spring forth for man and beast and every living thing on its surface, making no demur and no attempt to alter even the least of his decrees… even the minutest of living creatures mingle together in peaceful accord. Upon all of these the great Architect and Lord of the universe has enjoined peace and harmony, for the good of all alike, but pre-eminently for the good of ourselves who have sought refuge in His mercies through our Lord Jesus Christ. Now we shouldn’t suppose, given how many Christians met their deaths by wild beasts in Roman arenas, that they were in the least unaware of predation – or of parasites (most had them) or natural disaters (which occurred regularly). In modern terms, Clement is here thinking ecologically of nature harmoniously following the cycle of birth, death and renewal that God originally planned for his cosmos, which he governs directly and which shows his goodness and power. If, when we look, we see only indifferent chance and necessity, then we lack something central to that original Christian vision. A great loss, I think. It needs an explanation.